Lincoln students come first because they are first. They enter campus gates with dreams, goals and aspirations from around the country and around the globe. They bring to campus their diverse backgrounds and unique experiences. While here, they are taught about a rich history and learn who they are on their academic and social journey. They are supported and mentored by Faculty and administrators as they explore, discover and develop into global leaders grounded in a tradition of excellence. Lincoln students are afforded an experiential learning experience whether it’s to participate in an event on campus, the local community or traveling abroad they have an opportunity to gain real-world experience in preparation for real life after Lincoln. Come visit the campus or apply online to begin your journey at the first degree-granting HBCU. Application deadline is May 1 for the Fall Semester and November 1 for Spring Semester. Lincoln University welcomes military service members or veterans to our Campus. We support your success and is here to help you navigate the admissions process and provide a seamless transition from military to college life. For more information about our support for veterans and how to apply for undergraduate admissions as a veteran. There are no upcoming Admissions events. Please check back regularly. 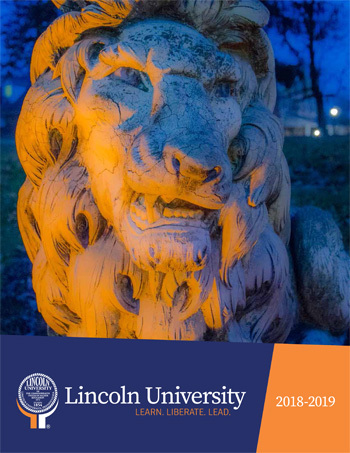 View the variety of programs offered by Lincoln University.